Transitioning to project management can be a challenging journey. Most of us begin our career as “Accidental Project Managers” with no formal experience, training, or guidance. However, the new job comes with a new set of challenging responsibilities, it requires a whole range of people skills, and presents us with a new type of complex and challenging problems. Going from an individual contributor to a project leader requires a total upgrade to how we think, feel, and behave in our new role. 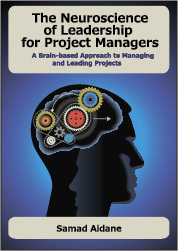 Fortunately, there is a new book that provides the right tools to help those aspiring to be project managers on their journey. 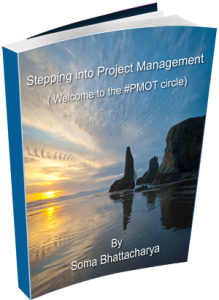 Soma Bhattacharya’s new ebook “Stepping into Project Management” provided insights and practical advice on how to start your career as a project manager, what it takes to be successful in your new role, and how to take your career to the next level. I was honored to provide the foreword for Soma’s book. As I wrote in the foreword, this is the book I wish I had when I was planning my transition to project management. I highly recommend Soma’s book for anyone planning to become a Project Manager.